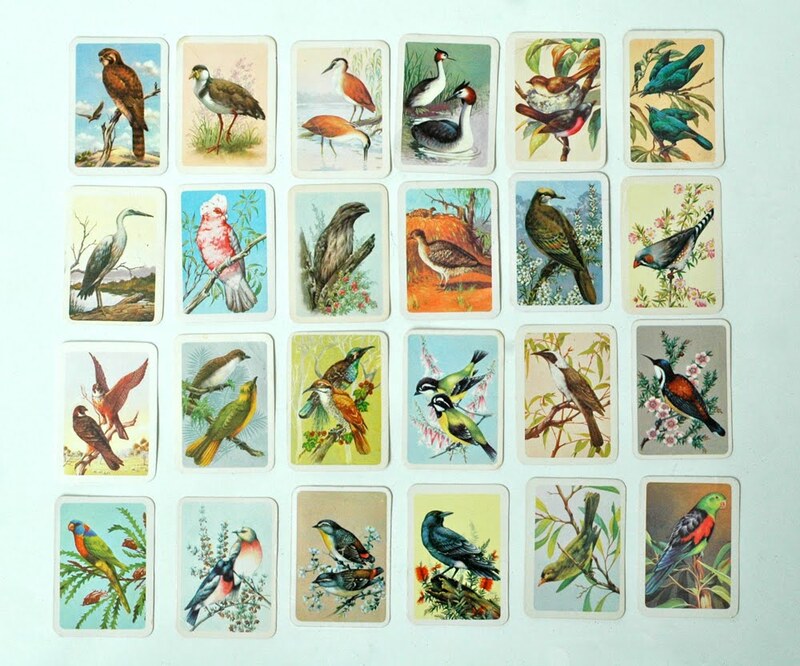 Vintage Birds of Australia trading cards. awww, beatiful. Your home is full of wonders! Oh this is a definite favourite. They're beautiful! My mother has a lot of cigarette cards and stamps from when she was a wee one. Many Australian natives grace the artwork, and your collection above is a wonderful reminder. Love the teal couple, top right! Really beautiful! Love these birds! I am working on a piece of jewellery at the moment, a bird sitting in her nest on an egg (ruby).